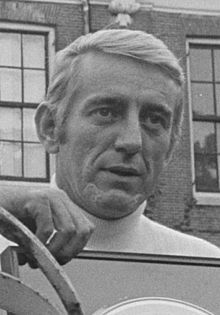 Rod McKuen died today. God bless him. He taught me something important about poetry and poets. In the ’60s, Rod made more money and was more popular than any poet could have every hoped to be. He sold books, wrote songs, and saw his material recorded by legitimately great artists like Frank Sinatra. While the masses loved him, he was universally reviled by critics. I was a silly high school kid. I didn’t know any better. I bought his books and pored over his sappy, sentimental poems. When I had the chance to compete in the poetry reading event at a speech and debate tournament, of course I chose to read McKuen. And she spit the seed at me. On the day of the tournament, I wore a turtleneck sweater and look the part of an earnest beat poet. My readings went smoothly. In the first round, the judge was a cute young English instructor, fresh out of teacher’s college. I was confident I had her vote. In the second preliminary round, I was thrown a curve. The judge was a sophisticated older gentleman, probably the English Department head. As I wrapped up my most sincere reading, he burst my bubble. Despite the disapproval of the older judge, I went on to have a great final round and win the contest. I had my trophy and the glory that accompanied it. But, I was on notice: If you want to be taken seriously, be careful and do not become popular. I think I had an inkling of how McKuen must have felt. He had popularity, money and glory. But he never had the approval of the arbiters of taste. He never was regarded as a real poet. I’ve been wondering about this ever since. Is it possible to write good poems that people comprehend?